Your crab cakes are trying to kill you. In what can only be treated as their final act of revenge, crabs from Venezuela have been discovered to be contaminated with a bacterium called Vibrio parahaemolyticus that's now infecting people who dare to consume them. The crab that is suspected to be the source of the infection is being sold as fresh or precooked crab, usually in plastic containers. The FDA and CDC are recommending that consumers do not eat fresh crabmeat from Venezuela and to ask at restaurants or grocery stores where any available crabmeat comes from before making a purchase. If there isn't a label or no one can tell you where the crab is from, you should avoid eating it. If you own a restaurant or store, you should dispose of any crabmeat from Venezuela. Anyone who thinks they had the crab in their refrigerator should make sure to sanitize every surface it came in contact with, along with any utensils, etc., that might have touched the crab. So far, 12 people have been infected with the bacterium, and four have been hospitalized. Infections have been reported in Maryland, Louisiana, Pennsylvania and the District of Columbia. Luckily, there have been no fatalities. 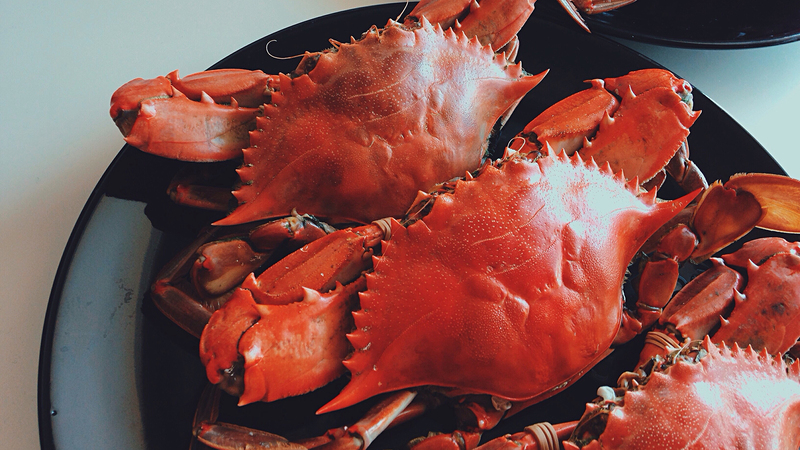 If you've eaten fresh crab recently and are experiencing any of the symptoms of Vibrio parahaemolyticus (diarrhea, occasionally with blood, vomiting, abdominal cramps, nausea, fever and stomach pain), go see a doctor. Symptoms usually appear within 24 hours of eating the crab. Just another fun summer food illness breakout! If we can't eat fresh veggies, salad or lean seafood, I guess a steady diet of pizza will have to do.